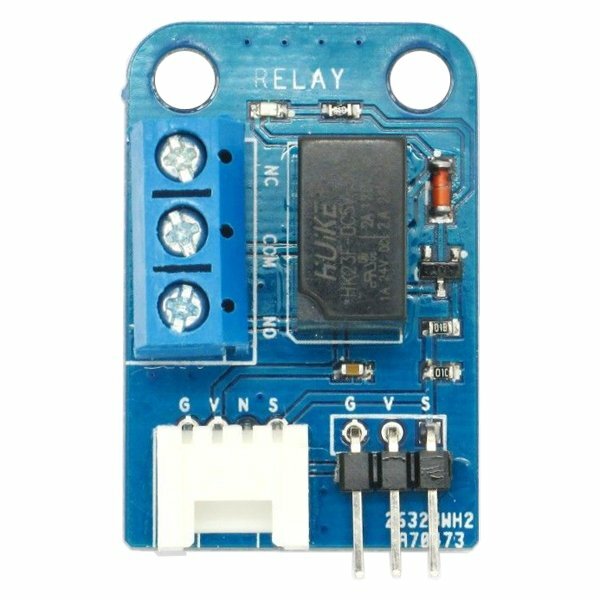 The 1 Channel 5V Relay Module provides a single relay that can be controlled by any 5V digital output from your microcontroller. The relay is accessible using screw terminals and can handle up to 2A of current. A handy LED indicates the status of the relay. 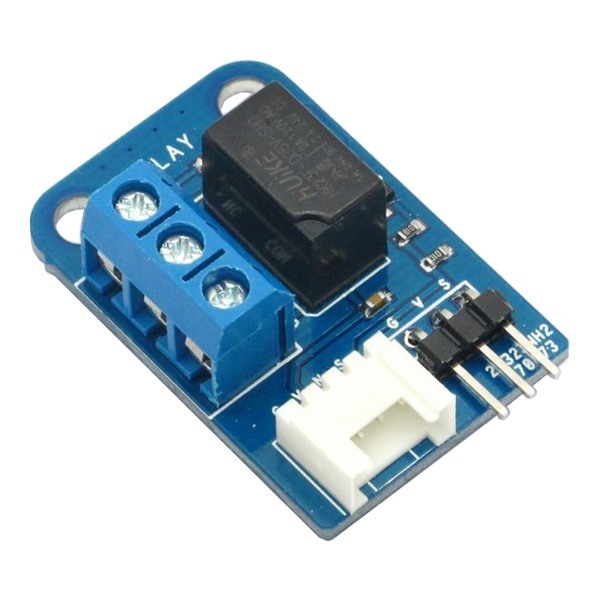 This module provides a standard 3 pin Signal/Voltage/Ground male header and a 4 pin "Grove" connector. Connect the Signal (S) pin to a digital output line on your microcontroller, the Voltage (V) pin to a 5V operating voltage and the Ground (G) pin to a common ground. Then wire onto the relay using the screw terminals. The relay works like a common SPDT Single Pole Double Throw switch and has Normally Open (NO), Normally Closed (NC) and Common (COM) screw terminals. When the digital Signal (S) pin is HIGH, the relay will be switched on (closed), otherwise it will be switch off (opened).